An authorized College department or employee may use a state approved purchasing card to make College purchases that do not exceed the College’s direct buy limit. (See “Restrictions” below for the current limit). 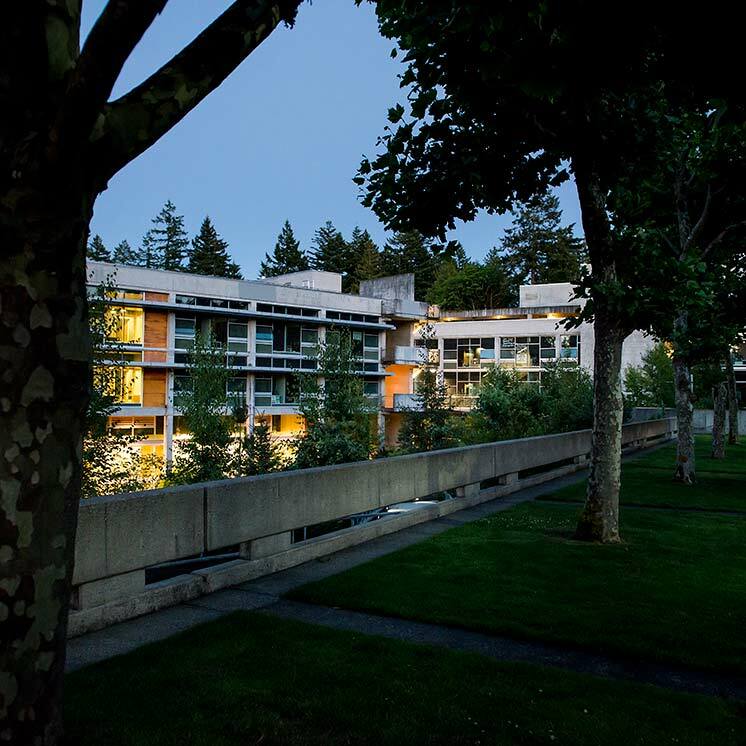 The Evergreen State College Procurement Card Program has been designed to allow for the direct procurement of some purchases by the end-user through the use of a credit card. The intent is to eliminate the need for small dollar requisitions, petty cash and open orders. Using the card will provide quicker turn-around time on orders, greater flexibility in ordering and reduced paperwork processing. The purchasing card concept is designed to delegate the authority and capability to purchase some items directly to the person to whom it most matters, the end user. The Purchasing Office issues cards to offices and individuals upon approval by the department head or equivalent administrator. Program Administration — The Purchasing Office administers the purchasing card program for the College and coordinates transaction review and approval activities along with annual audits of card use. Accounts Payable — Accounts Payable processes payment to JP Morgan & Chase, the purchasing card company. Individual Account Approval — The department head or designee is responsible for reviewing and approving monthly reconciliation of purchasing card transactions. Card Custodian — The card custodian manages the purchasing card program for a specific department/office. He/she obtains cards for new cardholders, maintains a current record of cardholders, logs all department card purchases, reviews transactions online, prepares the monthly reconciliation, and obtains cards from departing employees. Card Holder — The card holder is either temporarily or permanently assigned a purchasing card. He/she uses the card to make purchases in accordance with College policies. Training — The Purchasing Office trains card custodians and cardholders in the use of purchasing cards and related software. The total cost of a single purchase may not exceed $1000 including shipping and tax. College personnel may not string transactions to circumvent the $1000 limit, i.e., make several separate small purchases from the same vendor. Exceptions — The Purchasing Manager may, at his/her discretion, and staying within the state’s rules and regulations, allow exceptions to the above exemptions for specific cardholders on a crisis basis. Any request for exception shall be made in writing or via email from the requesting party. .
Any departmental restrictions i.e., maximum dollar limit on single purchase, monthly dollar limits on purchases. NOTE: Departmental restrictions must be enforced at the departmental level. Purchasing processes the request and instructs the bank to issue a purchasing card. At the time the card is issued to the department, Purchasing trains the cardholder or card custodian. The card recipient signs the Purchasing Card Agreement. A cardholder is responsible and accountable for purchases made. Procedures — Give the purchasing card or purchasing card number to the vendor when the order is placed. Request that the vendor include any applicable discounts. Shipping — Request the vendor to ship the material F.O.B. Destination, freight added and prepaid. NOTE: Instruct the vendor to not display the purchasing card number on the outside of the package. When departmental delivery information is not on the shipping label, Receiving will attempt to determine the identity of the recipient. If the identity is not determined within 24 hours, Receiving may return the package to the vendor. Receipt/Invoice/Packing Slip — Each purchase must be supported by an original itemized receipt, invoice, or packing slip from the vendor. Itemized description of goods purchased. If the credit card receipt includes the total purchase amount only, attach a detailed receipt, detailed packing slip, or detailed invoice to the credit card receipt. This information must be retained by each department and be available for audit. The retention schedule for these documents is six years. Review the Purchase — Each day, the card custodian reviews and approves all transactions using the online function provided by JP Morgan & Chase. The card custodian shall include a short description of the purchase, enter the correct organization code and the applicable account code. Use Tax — When reviewing a transaction for goods shipped from outside the state of Washington, the card custodian shall determine, if the goods are taxable, whether or not tax has been charged and if it has not, will check the Use Tax box. Accounts Payable will use this information to remit tax to the state if the vendor did not charge it. . Processing the Charge — After the card custodian approves the charge, Accounts Payable shall download the transaction and will charge the purchase to the user department in the Banner system. The cardholder is responsible for inspecting shipments. He/she shall verify the merchandise meets all specifications of the order, is not defective and that it has not been damaged in shipment. If shipment is damaged, does not meet all specifications of the order, or is defective, the cardholder is responsible for contacting the vendor and making arrangements for a pick up. Do not return a shipment without receiving an official Pick up Order from the vendor. Tell vendor to issue a credit on the purchase and remit a new invoice along with the corrected shipment. Cardholder should confirm that credit was applied to the original purchase. The Purchasing Manager is responsible for making spot checks of card transactions. He/she will notify the card custodian and department head of any incorrect or inappropriate use of the card. It is the responsibility of the department head to ensure proper use of all cards assigned to department staff. If improper use of a card continues after being brought to the card user’s attention, it is the responsibility of the Purchasing Manager to remove the card from the offending card user. If rampant misuse and/or abuse prevail within a department, it is the responsibility of the Purchasing Manager to remove all card privileges from that department.